Please read these Terms carefully. By using ClientContact or signing up for an account, you're agreeing to these Terms. This is a legal agreement. We'll start with the basics, including a few definitions that should help you understand this agreement. 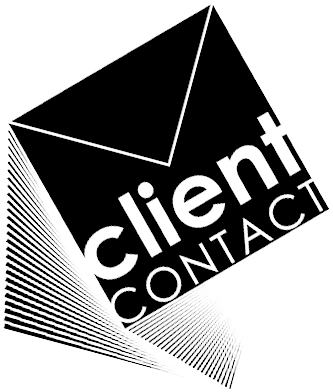 ClientContact ("ClientContact" or the "Service") is an email service offered through the URL www.clientcontact.net (we'll refer to it as the "Website") that allows you to create, send, and manage email newsletters (each message is called an "Email") to individual recipients. ClientContact is owned and operated by Crafting Solutions, LLC d/b/a ClientContact, a New Jersey limited liability corporation ("ClientContact," "we," or "us"). ClientContact has employees, independent contractors, and representatives ("our Team"). As a customer of the Service or a representative of an entity that's a customer of the Service, you're a "Member" according to this agreement (or "you"). By using ClientContact, you represent and warrant that you meet all the requirements listed above, and that you won't use ClientContact in a way that violates any laws or regulations. (Representing and warranting is like making a legally enforceable promise.) ClientContact may refuse service, close accounts of any users, and change eligibility requirements at any time. The Term begins when you sign up for ClientContact and continues as long as you use the Service. Clicking the button and entering your username means that you've officially "signed" the Terms. If you sign up for ClientContact on behalf of a company or other entity, you represent and warrant that you have the authority to accept these Terms on their behalf. You or ClientContact may terminate this Agreement at any time and for any reason by giving Notice to the other party. We may suspend our Service to you at any time, with or without cause. If we terminate your account without cause, we'll refund a prorated portion of your monthly prepayment. We won't refund or reimburse you if there's cause, like a violation of these Terms or our Acceptable Use Policy. Once terminated, we may permanently delete your account and all the data associated with it, including your emails from our Website. If you don't log in to your account for 12 or more months, we may treat your account as "inactive" and permanently delete the account and all the data associated with it. Our charges for monthly plans are posted on our Website and may be changed from time to time. If any part of a month is included in the Term, then payment is due for the full month. Payments are due for any month on the same or closest date to the day you made your first monthly payment (the "Pay Date"). If you go over your sending limit and reach another pricing level, then you'll have to pay at the higher level on or before the next pay date. If the Term ends before that payment is due, you'll still be required to make one payment at the higher level. Some features are offered as add-ons to your ClientContact account. If you add on a feature that has a charge, then you'll be billed that additional amount with each billing cycle for as long as the add-on is active. Some add-ons, like search.FabricShop, are intended for particular use cases and may have additional terms or restrictions ("Additional Terms.") If you use an add-on in a way that violates these Terms or the Additional Terms, then we may terminate your account. If you use search.FabricShop to send bulk emails, in violation of our Acceptable Use Policy, then we may charge you at the comparable ClientContact pricing tier or terminate your account. You will respect our proprietary rights in the Website and the software used to provide FabricShop and ClientContact (proprietary rights include patents, trademarks, service marks, trade secrets, and copyrights). We may view, copy, and internally distribute content from your Emails and account to create algorithms and programs ("Tools") that help us spot problem accounts. We use these Tools to find Members who violate these Terms or laws. For example, We study data internally to create better experiences for senders and subscribers. If you think anyone is violating any of these Terms, please notify us immediately. If you received spam you think came from a ClientContact user, please report it to our abuse team. (The best way to tell whether an email was sent through ClientContact is that every ClientContact campaign has an embedded Campaign Tracking ID in the header that makes it easy to report suspected spam.) If you think anyone has posted material that violates any copyrights, then you can notify us according to our Copyright Policy. You may only use our bandwidth for your ClientContact emails. We provide image and data hosting only for your email campaigns, so you may not host images on our servers for anything else (like a website). We may throttle your sending or connection through our API at our discretion. You represent and warrant that your use of ClientContact will comply with all applicable laws and regulations. You're responsible for determining whether our Services are suitable for you to use in light of any regulations like HIPAA, GLB, EU Data Privacy Laws, or other laws. If you're subject to regulations (like HIPAA) and you use our Service, then we won't be liable if our Service doesn't meet those requirements. You may not use our Service for any unlawful or discriminatory activities, including acts prohibited by the Federal Trade Commission Act, Fair Credit Reporting Act, Equal Credit Opportunity Act, or other laws that apply to commerce. Have complied, and will comply, with all regulations, as well as data protection, electronic communication, and privacy laws that apply to the countries where you're sending any form of email through ClientContact. Have collected, stored, used, and transferred all data relating to any individual in compliance with all data protection laws and regulations. You have the necessary permission to allow ClientContact to receive and process data and send communications to that individual on your behalf. The software that supports the Services (the "Software") is subject to United States export controls. Export laws are set up by the government to keep certain goods and services from reaching other countries, usually because of security concerns or trade agreements. None of the Software may be downloaded or otherwise exported or re-exported in violation of United States export laws. You're using the Software at your own risk. To the maximum extent permitted by law, you assume full responsibility for any loss that results from your use of the Website and the Services, including any downloads from the Website. We and our Team won't be liable for any indirect, punitive, special, or consequential damages under any circumstances, even if they're based on negligence or we've been advised of the possibility of those damages. Our total liability for all claims made about the Service in any month will be no more than what you paid us for the Service the month before. To the maximum extent permitted by law, we provide the material on the Website and the Service as is. That means we don't provide warranties of any kind, either express or implied, including but not limited to warranties of merchantability and fitness for a particular purpose. Since people use ClientContact for a variety of reasons, we can't guarantee that it will meet your specific needs. Any notice to you will be effective when we send it to the last email or physical address you gave us or posted on our Website. Any notice to us will be effective when delivered to us along with a copy to our legal counsel: Attn. Legal Department, ClientContact, 1500 Main Ave, Clifton, NJ, 07011, or any addresses as we may later post on the Website. Congratulations! You've reached the end. Thanks for taking the time to learn about ClientContact's policies. © Copyright 2018 Crafting Solutions, LLC. All Rights Reserved.